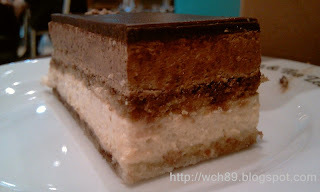 This cappucino from Cosy Cafe in Johor Jaya taste good! 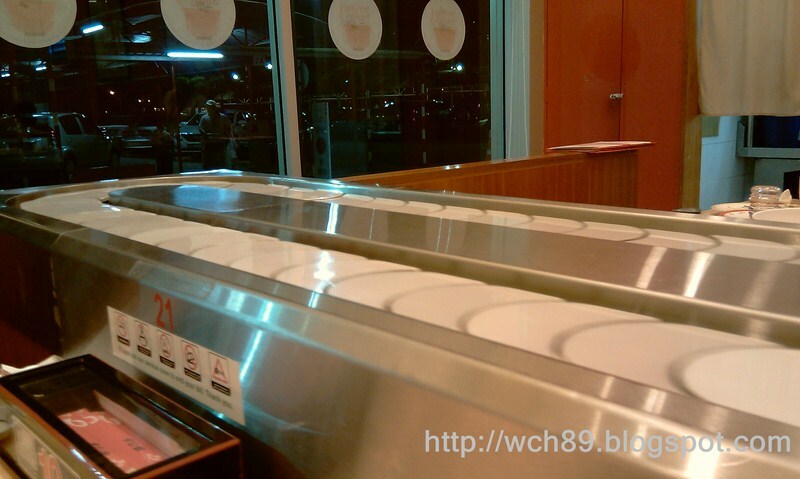 So far this is the most refreshing and cooling 六味 I have before. It is from a stall at Taman Sentosa. 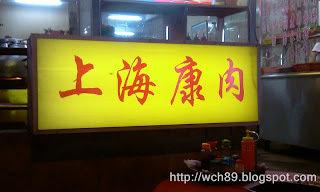 Now I just waiting for my friend to take me to try the 六味 with honey at Jalan Ipoh, Kuala Lumpur. Egg tarts from Macau Express in Jusco Tebrau City. I can't resist tarts! Especially egg tarts. The egg tarts from this restaurant is consider the most tasty and crispy egg tarts I ever ate before. 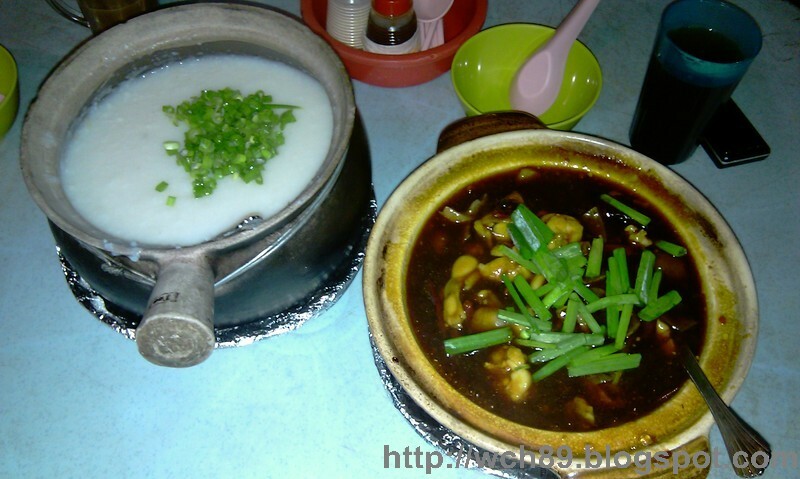 Not forget to have 串烧 when come to JB. I never see this dishes before in other places. They put a crab into that porridge. See the 蟹膏 squeezing out. Yummy! I can't believe this big bowl porridge is for one person only. I finished this big bowl of porridge myself and I was very very full that night. Besides that, I have another porridge to recommend if some of you guys can't have seafood because of allergic or other reason. 宫保田鸡粥. It is better to put the sauce on the top of the porridge to make it taste awesome. *By the way, I wish to taste the crab dishes in Taman Sentosa before I left JB. I was supervising an event at Dataran Keris 2 weeks ago. Here are some pictures of that day. Dataran Keris, you can saw a handsome Batman standing around there. The weather is hot until the strong Batman almost want to faint. See how the kids torture the "Bad man". Have a walk at the Pasar Malam after finished the job. It has been decade I have not been going to Pasar Malam. I bought almost 10 different kuih from here. I have not been updating my blog recently. However, I have some photos in my phone that I want to share. Saw this at one of the restaurant in Johor Jaya. I wonder how this dishes taste like. 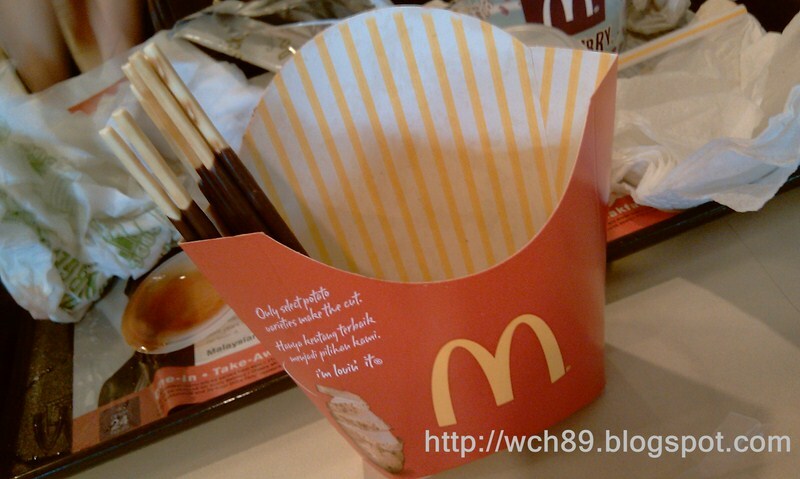 The rocky stick from McD. My first time of tasting Caramel Macchiato cake from Coffee Bean. Thanks to Crystal. 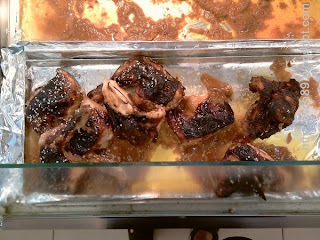 And this over-roasted chicken from Giant Plentong. =.= Who will buy it? This is the sushi belt at sushi king in Jusco Permas at 8pm something. 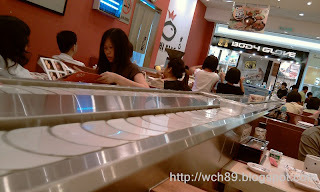 The place of worst Sushi King dining experience I ever had. We had wait the drinks for about half hour until we need to remind them 2 times again after that. Had my breakfast at one of the bakery shop at Ikano. 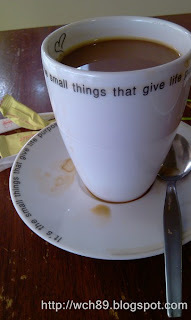 "It's the small things that give life purpose" quote appear on the coffee cups.